This below knee length dress is very versatile. Ideal for parties; and beach resort occasions. Special occasion wear. And as a guest at cocktail receptions. Comfortable and cool to wear. Marrakesh Green Graduated Pure Silk Dress. Aquamarine Sequin Contrast at Bodice. 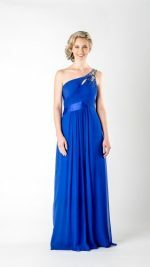 Dress with Lower Pleat Panel at Front.